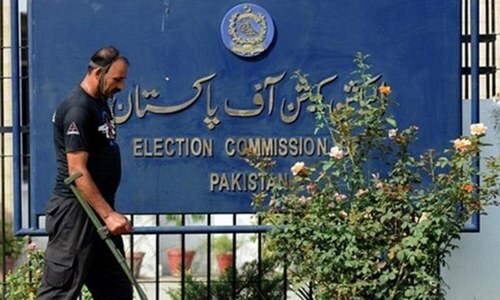 The Islamabad High Court (IHC) on Thursday suspended an Election Commission of Pakistan (ECP) notification on Article 202 of the Election Act 2017 for four political parties who petitioned the court saying the clause is in violation of basic human rights and the Constitution. Article 202 of the Election Act 2017 says that all political parties that wish to take part in the upcoming General Election must provide "a list of at least 2,000 members with their signature or thumb impression along with the copies of [their] National Identity Card[s]". Under Article 202, political parties are required to pay Rs200,000 as "enlistment fee", and any political party that fails to abide by the above conditions is ineligible to contest the polls. Justice Amir Farooq heard the petition today filed by the Pakistan Democratic Party, Sadaa-i-Pakistan, Fatahyab Democratic Party and Pakistan Muslim League (Safdar Zaman), who were represented by Advocate Hafiz Mohammad Sufyan and Chaudhry Hamid. 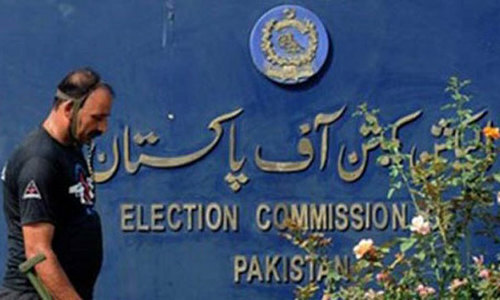 The petition argued that the ECP order is in violation of basic human rights as well as the Constitution of Pakistan. A press release issued by the ECP on November 24 notified all parties of Article 202 of the Election Act 2017. Subsequently, the IHC issued notices to all stakeholders, including the ECP, demanding clarification of the article, and suspended the ECP order for the petitioners until further notice. The hearing of the case has been adjourned until January 9, 2018. This is not the first time that the Election Act 2017 has been challenged in court. 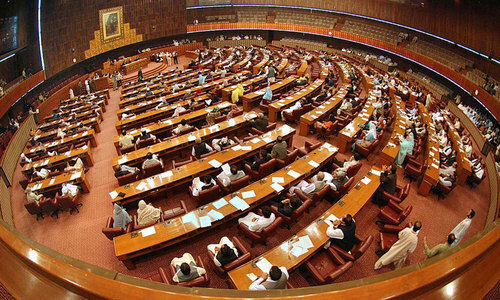 On October 3, a day after the bill was passed in the National Assembly, Advocate Zulfiqar Ali Bhutta filed a petition in the Supreme Court declaring the bill "against the basic spirit of the Constitution" since it allows a disqualified person to become the head of a political party. Correction: An earlier version of this story incorrectly stated that the IHC had suspended Article 202 of the Election Act. The error is regretted.